The Winner of the L’Iris d’Or – the 2012 Sony World Photography Awards Photographer of the Year is American photographer Mitch Dobrowner for his series of photos, STORMS. The images are simply stunning! Enjoy. Yesterday, April 26, marked the anniversary of one of the most tragic events in modern history: the bombing of the Spanish city of Guernica (in the Basque Country) by the Germans. The Nazis simply razed the city in 1937 in an effort to support their ally Francisco Franco during the Spanish Civil War. Franco eventually won the War and Spain came under one of the most morbid dictatorships in history (1939-1975). When one thinks of a ‘martyr city’, names like Sarajevo, Grozny, Hiroshima and Nagasaki immediately come to one’s mind. But it was Guernica that got ‘immortalized’ thanks to a work of art by Picasso that immediately brought –and still brings- visibility to the tragedy. It would not be an exaggeration to say that Guernica would not have been as half as famous as it is if it was not for Picasso’s masterpiece. 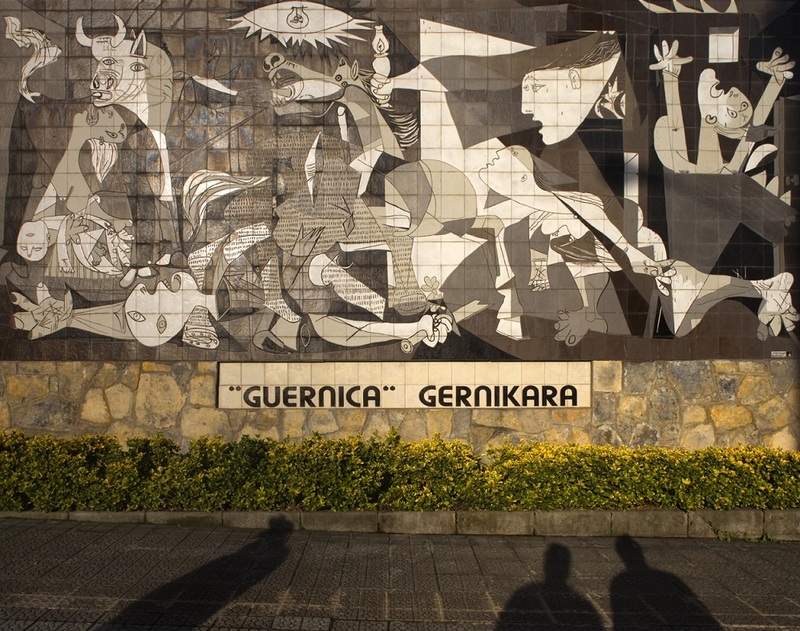 The majority of people that learned about Guernica did so through and because of the painting, which became a pictorial reminder of the horrors of war in general. In away, Picasso made ‘Guernica’ his. For those who were wondering about the function(s) of art (even though I don’t believe in the need for a function at all), here is one: documenting the human condition. Now one might wonder: What is Guernica (the painting) doing in Reina Sofia Museum in Madrid, hundreds of miles away from Guernica (the city)? How come the city that suffered the tragedy in ‘primera persona’ and inspired the artwork is not the chosen ‘home’ for the painting? Well, we live in a political world as Bob Dylan once said, and even present-day Europe is no stranger to centralism. But it’s not only politics, it’s also economics: you wanna see Picasso’s Guernica? Go to Madrid, it’s cultural tourism. It was 150 years ago that Gustav Klimt was born. He spent much of his childhood in poverty, but this would not last for long. Being the son of a gold engraver, it came as no surprise that his art would feature heavy use of gold leaf, as well as a highly decorative style that evokes a sense of grandeur and exuberance, proper of the Art Nouveau that he pioneered in Austria. His trips to Venice and Ravenna (where he studied the mosaic techniques and the Byzantine iconography) only served to further enrich his style. Klimt’s works are among the most expensive paintings ever sold (his Adele Bloch-Bauer I was sold in 2006 for $135 million), but one painting remains to be a universal icon of sensual love: The Kiss. One thing immediately noticeable about this work is the extent to which the image has been commercialized: it is universal in every sense of the word, and you can see its reproductions in so many forms and media from posters and post-cards to mugs and T-shirts. This “commercialization” is something that Klimt himself started, being an excellent marketeer of himself (in that sense, a forerunner of Warhol and Hirst!). When (St. Augustine) was asked: What did God do before he created the universe? Augustine did not reply: He was preparing Hell for people who asked such questions. 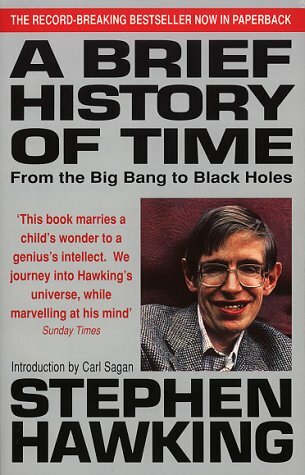 Instead, he said that time was a property of the universe that God created, and that time did not exist before the beginning of the universe. There are several ways of protesting budget cuts for art and culture, but I never would have guessed that burning artworks would be one of them! It happened in Naples, where the director of the Casoria Contemporary Art Museum (Antonio Manfredi) set fire to a painting by French artist Severine Bourguignon, who actually showed her support for the act and even followed it via Skype. The Museum director declared what he calls “Art War” against the budget cuts and the government’s neglect: He will burn 3 paintings every week, until the government responds or the 1,000 artworks forming his collections are reduced to ashes. 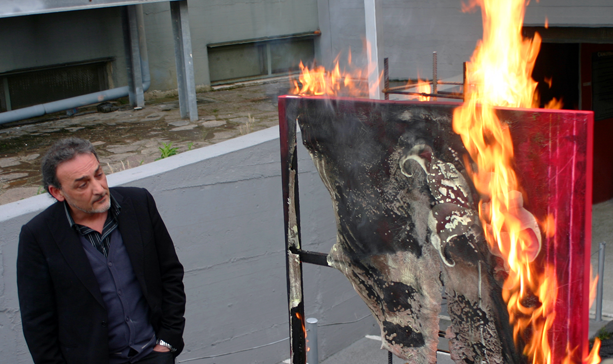 Some artists, including Rosario Matarese, will burn one of their artworks in solidarity with Manfredi. The Art War has just begun, and the economic crisis is yet to provoke more such acts. Following almost 20 years of hard work and a long journey of ‘cultural excavation’ that took him to Russia and the Balkans, Alphonse Mucha finally completed his masterpiece celebrating the Czech and Slavic people’s legacy: the outcome was a series of twenty large-scale paintings known collectively as “The Slav Epic”, which he handed over to the Czech government in the early 1900s. These paintings would eventually become the victim of many political and ideological whims till our present day: First they were celebrated by his people, then they were hidden during WWII to avoid looting by the Nazis (who actually interrogated Mucha heavily), then, as Czechoslovakia came under the grip of communism, the paintings became neglected as Mucha came to be considered a bourgeois that showed no committment to socialist values. Later on, the paintings were moved to a small city where they would stay for decades, and finally, Prague wants them! The city rejects, but the paintings are already moved to Prague where they will be exhibited under conditions that might actually do damage to them (from a conservation viewpoint). While many people know Mucha only through his modernist (art nouveau) posters, The Slav Epic is a good start to admire this artist at a different “scale” (how about 6 meters high and 8 meters wide for a start? )…enjoy the paintings attached (from the Slav Epic) and remeber that for Mucha “art exists only to communicate a spiritual message” as he once said. This is the workshop I am currently working on in collaboration with the ECSA (European Community Studies Association) President. It will take place in Barcelona (May 10-12). The workshop is organized by ECSA World, the umbrella association for 59 national and regional European Studies associations around the world. The main idea is to map the situation of the European Studies both through geographical and disciplinary approaches.